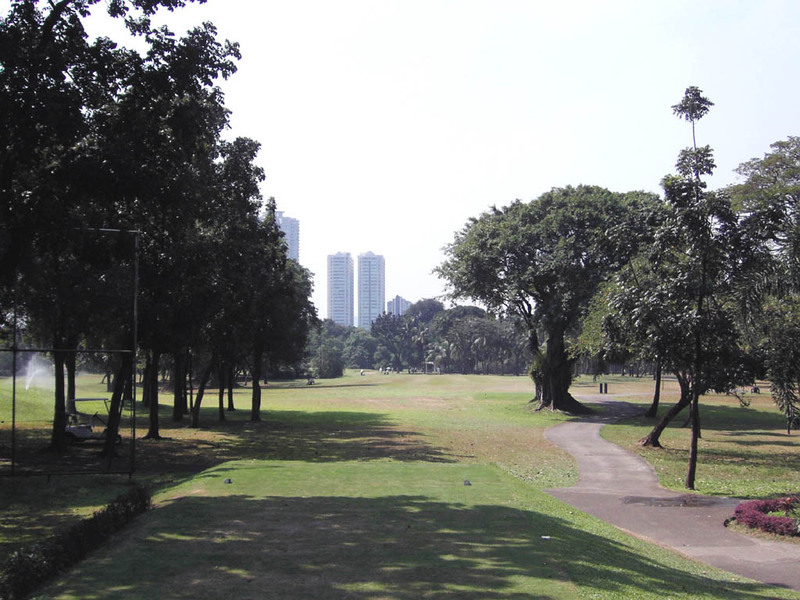 An old flat course with each hole separated by trees. There are 2 courses, East and West. This East Course is a championship course while the recently built West course is a resort course. 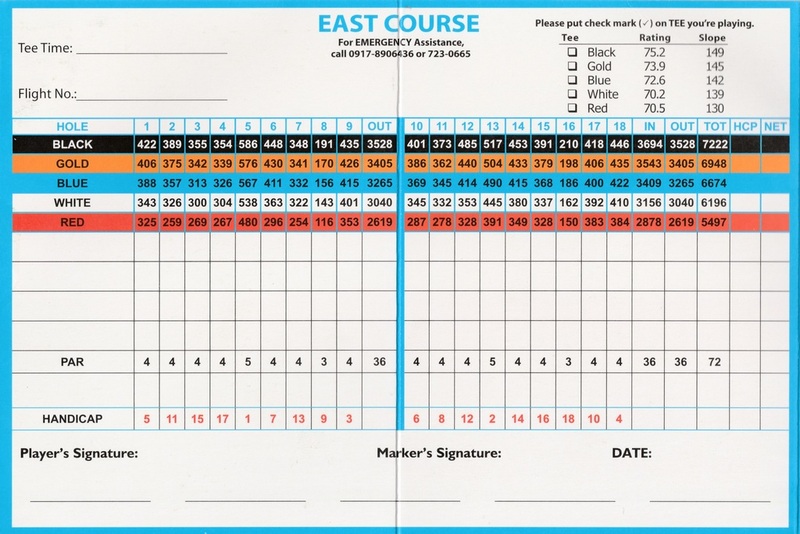 The East course staged the 1977 World Cup. A feature of the course is that each green is elevated and slopes from the back to the front and the landscaping of the greens is excellent. You might feel that the course is a little shorter than a 7000 yards par 72 because there are only 2 par 3s and 7 less than 400 yard par 4s. It was regrettable that the greens were a little slow although the condition of the grass on the greens was good. Played again in 2018 since 2015. The greens are faster with good rolling. 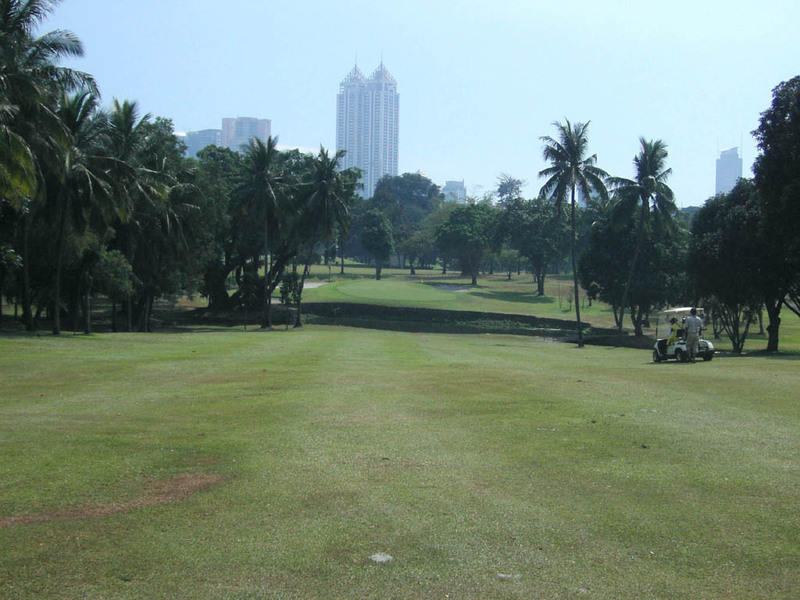 The fairways are nicely cut but they are Caraboa grass, natural Philippines grass, which occasionally cause the iron heads to be stuck in the roots of the grass. The distance is 200 yards longer, and the greenside bunkers get larger & deeper. Overall, the East course has improved a lot and has become much tougher. A slight dogleg to the left, gently downhill. If your tee shot curves to the left too much, a lake will catch it or trees in front will disturb your second shot and make it impossible to aim for the green. The bunkers on both sides come into play. A very short but demanding par 4. The further the tee shot flies, the bigger trouble you will face. The pond 230 yards off the tee squeezes the narrow fairway on the left. If you hit to the right to avoid the pond, your ball will be in trees where it will be hard to hit the green. If you successfully place the tee shot on the fairway, the second shot over the pond is easy. 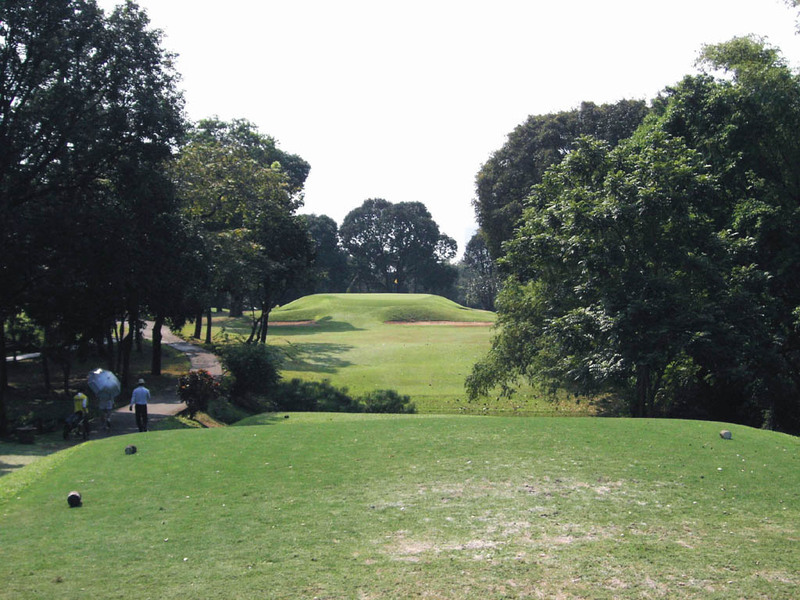 A signature hole with an elevated green more than 5 meters high. The green is narrow & deep and slants from the back to the front, so putting is demanding, too. If your shot doesn’t bite, it will likely roll down to the one of 6 bunkers guarding the green. Needless to say, an accurate shot is required on this hole. The tee shot is downhill and the second shot is uphill. The creek crosses the fairway 300 yards off the tee but because it is downhill, a 270-yard drive can land up in the creek. A large bunker in front of the green is in play. The green is a reverse “ U “ shaped, which is unique. A straight hole reachable in 2. Seve Ballesteros made eagles for 2 days in succession at the World Cup in 1977 after he successfully reached the green on the second shot with a 2 Iron. The second shot is downhill, which in fact makes the actual distance of this hole about 20 yards shorter. This is a relatively short par 5 but the front side of the green is guarded by water, which enhances the difficulty. If you decide to lay up in front of the pond, the third shot needs to be hit from a downhill lie. 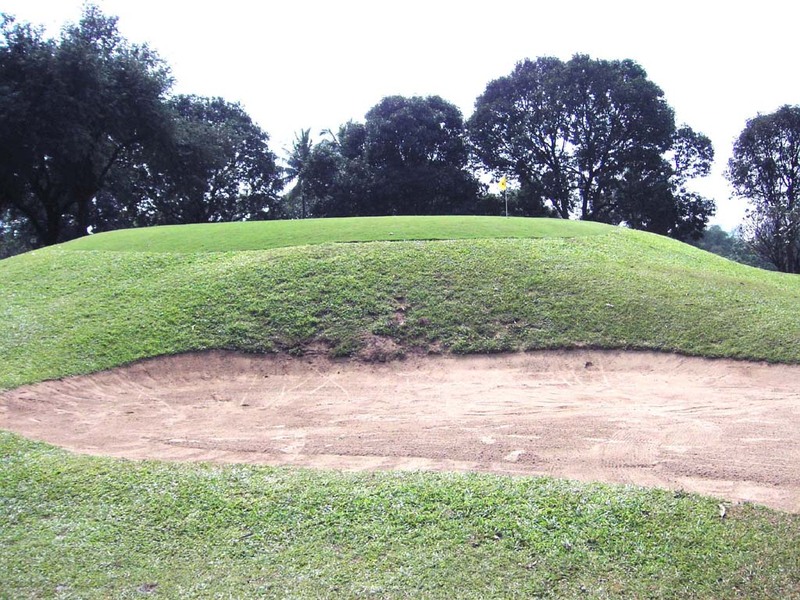 The green is narrow in depth and guarded by bunkers on both sides. A little downhill, neat par 3. There are bunkers on both sides of the green. An excellent hole with coconut trees guarding both sides of the fairway. 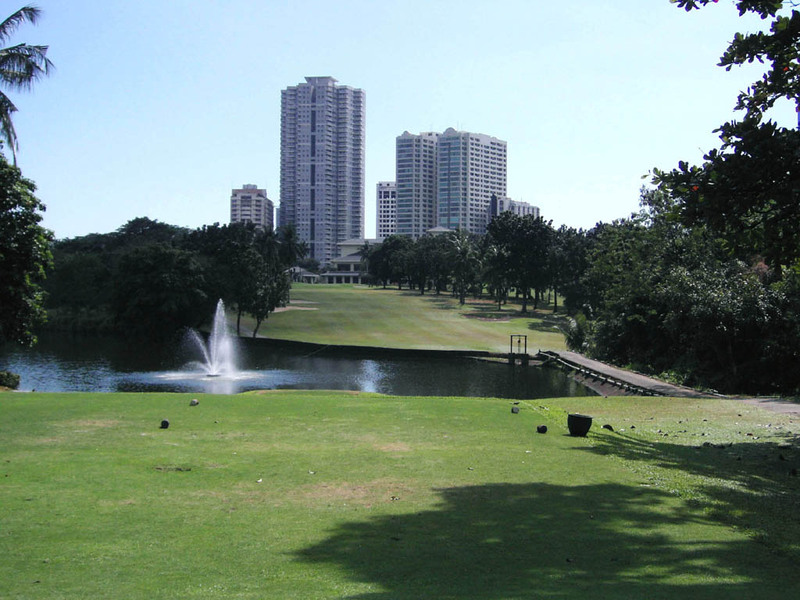 High-rise buildings behind the green make the view of this hole unique. The second shot is gently uphill. 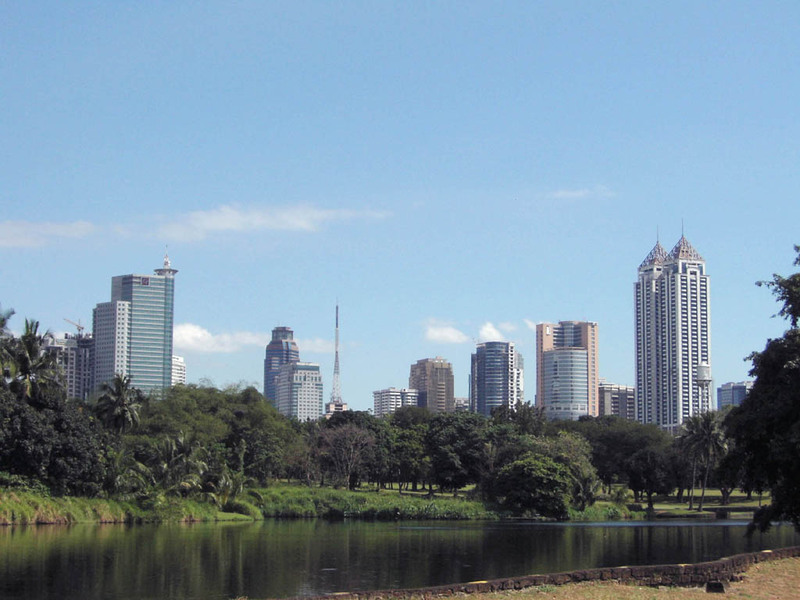 It takes 20 minutes both from Central Manila and from Ninoy Aquino International Airport by car. You need to be accompanied by a member to play at the East Course. 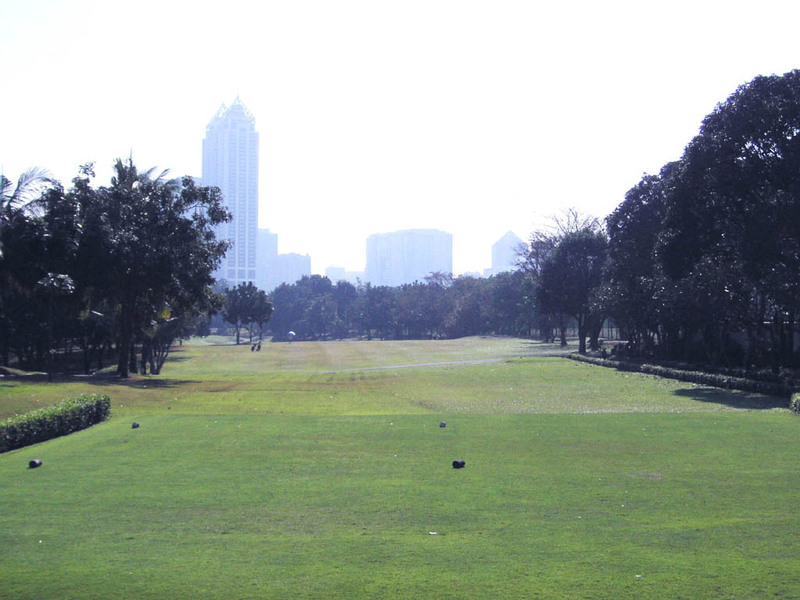 When it opened in 1931, there was nothing but greenery surrounding the course. 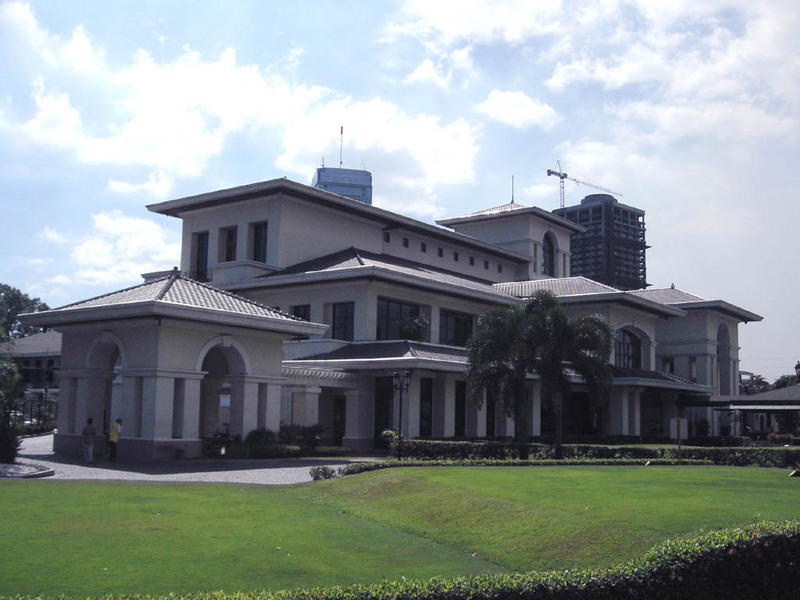 But with the development of the suburbs of Manila over the last 70 years new buildings have gone up one after another around the course. 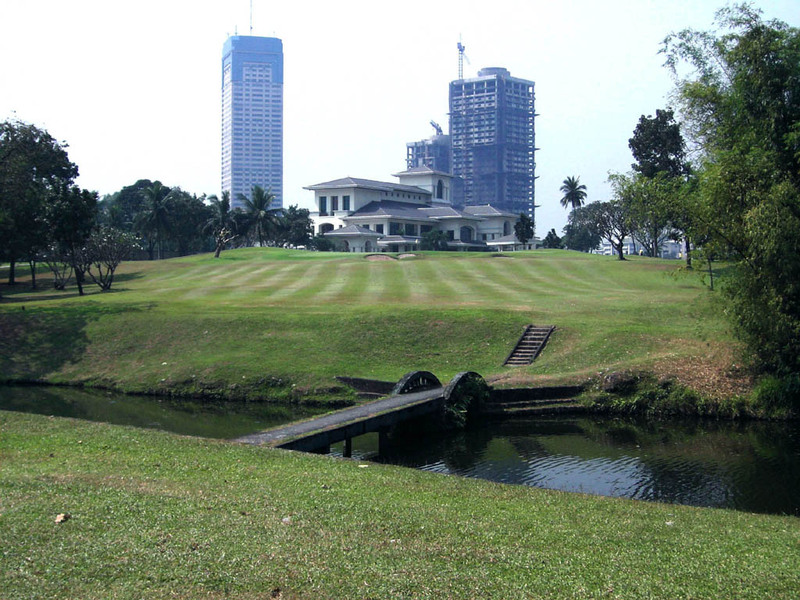 Nowadays, modern buildings surround the course, which makes the view from the course unique and is similar to the courses in Shenzhen, China, where I often play. 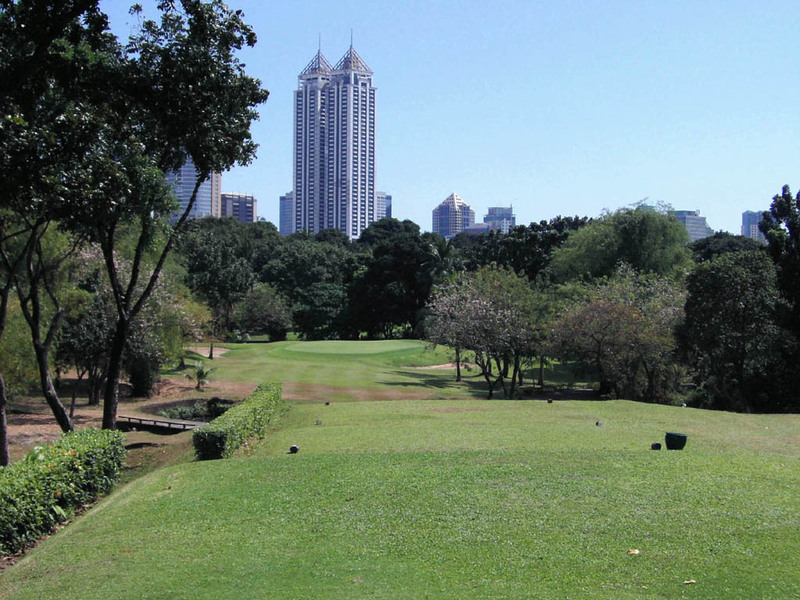 This course was awarded 6th place by Asian Golf Monthly 2004 Best course in the Philippines. 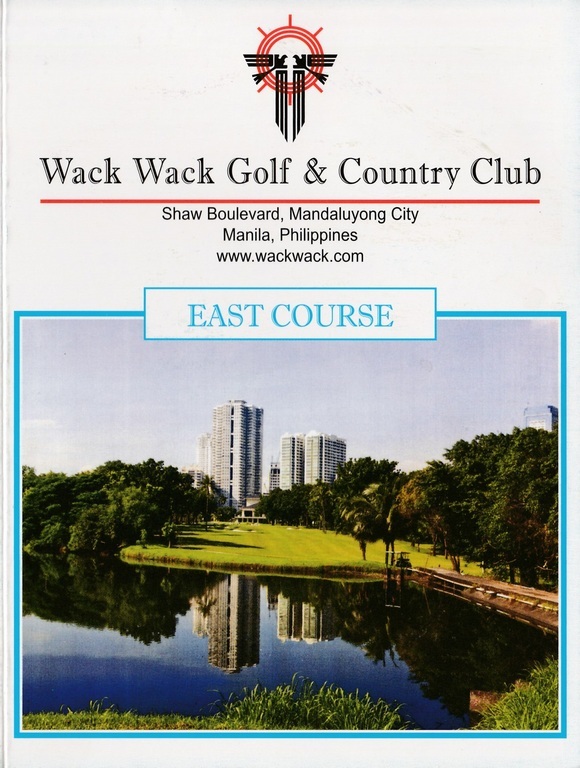 The Top 100 Golf Course (top100golfcourses.com) ranked East of Wack Wack as the 8th best golf course in the Philippines. There are 70 courses in the Philippines. GOLF Magazine selected it within 1979 World best 50 courses. 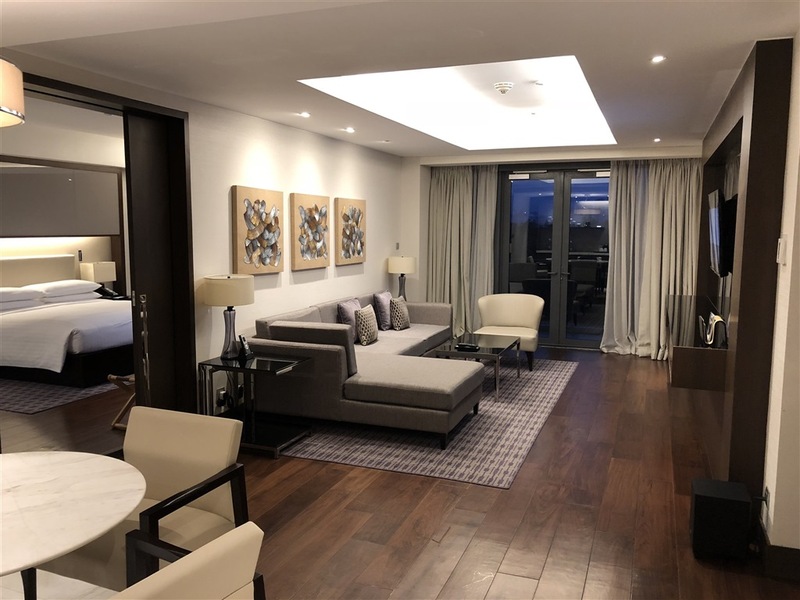 I stayed at Manila Marriott on the day before I played. 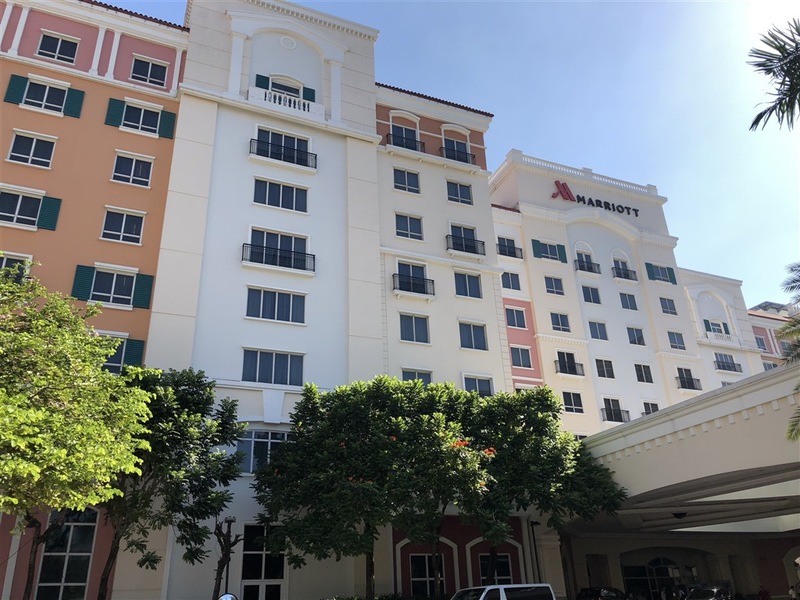 This comfortable hotel is a just 4-minute ride by shuttle bus. 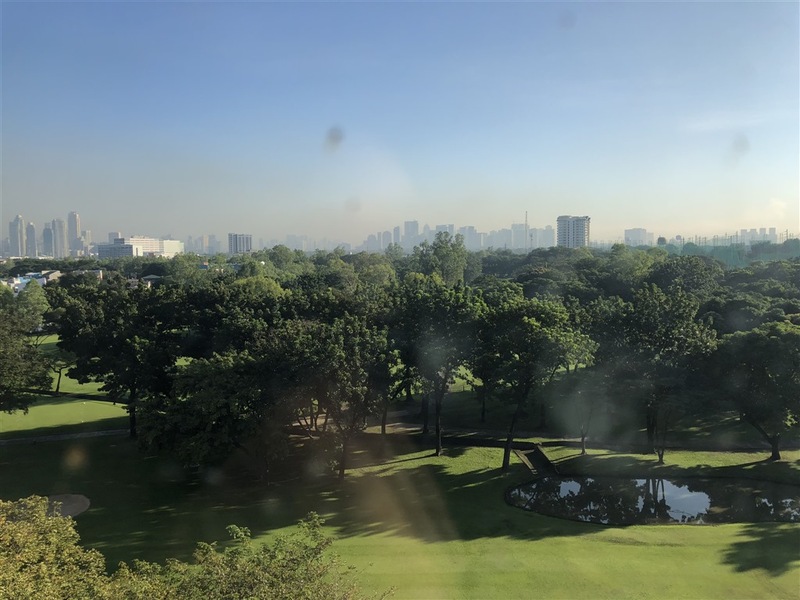 Villamor Air Base GC can be seen from the room. 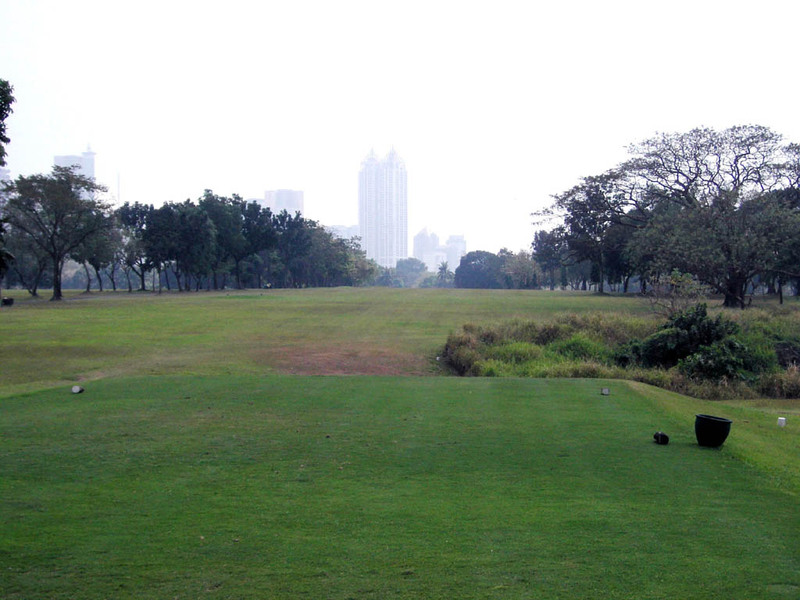 The course has nothing spectacular, but Villamor Air Base GC is a public course, and very close to the airport. So it is suitable to play 9 holes before your departure when you have enough time at airport.